Based on a novel by author Max Brooks and starring the venerable Brad Pitt (he's also a co-producer), World War Z is not your typical zombie movie. It doesn't have tongue and cheek humor like 2009's Zombieland, it's not overly depressing and dark like 2002's 28 Days Later, and doesn't involve a shopping mall (ha ha). My view on this definitive summer blockbuster is that it is a straight up thriller that takes place mostly in the daylight hours. It takes a much bigger approach on the military front and projects the conflict of events to cater to the whole planet (hence the title), not the confines of a town or village (Night of the Living Dead and Dawn of the Dead come to mind). Honestly, this might be the most realistic entry in the zombie genre that I can remember and believe me I've seen them all. If the happenings in this vehicle occurred in real life, I'm sure that this is how it would go down according to "Z's" make-up (with the exception of the actions pertaining to the Pitt character. I will get to that later). Directed with a nice big canvas and delivering some atomic scares with minimal gore (that might have to do with the PG-13 rating), World War Z is a solid, fierce exercise. However, it's part of a long list of films that have shades of greatness but don't quite make it across the finish line. There is a lack of a build up in the opening ten minutes which renders it less compelling (without hesitation, the zombies attack and you barely get to know the main characters). Then there is the ending which was rumored to have re-shoots. It's got that blatant Hollywood feel and once you see it, you'd think that the studio execs were solely responsible (I may be wrong in saying this, but I'm pretty sure director Marc Forster didn't have a say in the final cut). I will recommend what's on screen though because it does effectively what a lot of scary movies are able to accomplish. For example, if you saw Jaws back in the day, you'd probably stay out of the water for a while. After seeing "WWZ," I didn't even want to venture out of the theater. I literally thought the undead were waiting for me. 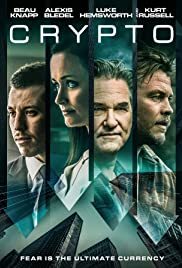 This sobering nail biter haunted me (it haunts me right now) and I believe that that's something only a good movie is able to pull off. Notice I said a good movie, not a great movie. Let's just say that when World War Z isn't chaotic, it's deflating. You anxiously wait for the next fight between Pitt and the crazily possessed. Everything in between is as bland as tap water (it didn't need to be though). As the flick opens, we meet Gerry Lane (Pitt), who is a retired united nations investigator. In the opening scene, he's having breakfast with his wife and two children. Cut to downtown Philadelphia and Lane and his family are caught in rush hour traffic. Within seconds, a hoard of zombies storm down the road feasting on every human in sight. Lane, after observing how long it takes for someone to become a zombie after being bitten (12 seconds from what I remember), gets in his car and somehow is able to drive his family out of traffic and onto a back road. From then on, he gets a call from his U.N. superiors and boom, he's picked up on top of a building by helicopter and told that it's up him to save the world (he's not a doctor or a scientist but what the heck, it's a movie). Basically he has to travel to across the globe to find the host (the first attacking agent) and decipher what measures can be taken for survival. He does all this while his family is safely left behind (an odd plot point but it's not that big of a deal). While watching "WWZ", I learned a couple of things that I initially didn't not know about the zombie world. For instance, they are drawn to noise. And I'm not just talking loud, richter scale stuff. Even the slightest clank or clutter sets them off. Also, they attack only healthy human beings. If you have a terminal disease and are near death, they run right past you. And make no mistake about it, these are the fastest zombies I've ever seen. They really snap to it by almost tackling each other to get to their human targets. If you've seen the trailer, you'll also notice that they to climb on top of each other relentlessly to scale a wall. The whole image is hair- raising and disturbing, but brilliant at the same time. Honestly, it was hard at times to see exactly what was going on in a lot of scenes (think the look of the car chase from The Bourne Supremacy). But being that everything happening is so chaotic in modern day thrillers, the confusion can work because it's rooted in facaded realism. Then there is the Pitt performance which could be played by any professional actor. It doesn't require a whole lot but I'm certain that the producers wanted a big name star attached to the project (solid box office returns is a plus). Pitt really plays it low key through the entire 2 hour running time. Usually, he's as animated as any actor you'll find. But in "Z", he lets his facial expressions do more of the talking (when he runs from the zombies though, it looks more like light jogging). With this approach, his character has plenty of screen presence to burn (he's looking like 1980's Robert Redford more and more each day but what's up with the early 90's grunge getup). The rest of the cast does an adequate job despite the limitations of the script. I'm not sure though if it was the theater I was in (sound might have been a little off), but a lot of the actors mumbled their lines from time to time. It was an observation that I hope was definitively wrong. In retrospect, there is a substantial amount of entertainment here. Flawed yet enigmatic and full of unbearable tension, World War Z is tailor made for the summer moviegoer. It also answers two important questions: Can this type of flick with a big name star like Pitt be effective? Sure why not. And can a PG-13 horror fest with minimal gore and reduced violent imagery still scare and haunt you? You betcha. So to sum up this review, I'll say this, "Z" gets my recommendation. It's a serviceable thriller and it gets a solid grade of a "B".